The overarching objective of the Basel Convention is to protect human health and the environment against the adverse effects of hazardous wastes and “other wastes”, namely household waste and incinerator ash. 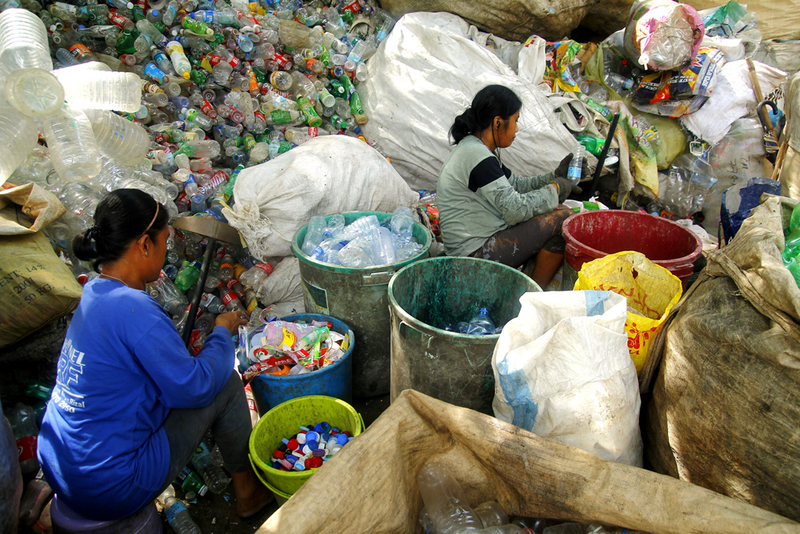 Some plastics are listed as “hazardous wastes” under the Convention, and many household wastes may include plastics. The provisions of the Basel Convention pertaining to the minimization of the generation of wastes, their environmentally sound management as well as the control of their transboundary movement may therefore apply to plastics wastes. Plastic wastes and marine litter are a transboundary issue. Parties are to take measures to ensure that the generation of hazardous wastes and other wastes is reduced to a minimum; and to ensure the availability of adequate disposal facilities for the environmentally sound management of hazardous wastes and other wastes. At its thirteenth meeting, the Conference of the Parties to the Basel Convention included activities on marine plastic litter and microplastics in the work programme of the Open-ended Working Group for the biennium 2018-2019. At its eleventh meeting, the Open-ended Working Group (OEWG) considered the report on possible options available under the Basel Convention to further address marine plastic litter and microplastics and took note of the information on activities related to marine plastic litter and microplastics undertaken by regional centres. Agreed that the draft elements set out in the annex to the decision should be a basis for a decision by COP-14 on further actions on marine plastic litter and microplastics. Parties and observers were invited to submit comments on the draft elements to the Secretariat by 31 October 2018. Welcomed with appreciation the proposal submitted by Norway on the establishment of a Partnership on Plastic Wastes and recommended to the COP-14 the establishment of a partnership under the Basel Convention on plastic wastes that also addresses marine plastic litter and microplastics. Parties and others were invited to submit comments on the draft terms of reference of the partnership and suggestions on elements of the work programme of the partnership for the biennium 2020–2021 by 17 December 2018. Took note of decision OEWG-11/7 on amendments to Annex IX to the Convention and the intention of Norway, as expressed the OEWG-11, to submit a proposal to amend Annex II to the Convention for consideration and possible adoption by the COP-14. Requested the Secretariat to communicate decision OEWG-11/8 to the open-ended ad hoc expert group on marine litter and microplastics referred to in paragraph 10 of resolution 3/7 of the UNEA and to the UNEA-4. Following this decision, the next COP, which will take place from 29 April to 10 May 2019 in Geneva, may wish to consider adopting the proposal of a Partnership on Plastic Waste and the proposed amendments to Annexes II, VIII and IX of the Basel Convention. The relevant documents can be found he here (UNEP/CHW.14/11) for the Partnership and here (UNEP/CHW.14/27) for the proposed Amendments to Annexes II, VIII and IX of the Basel Convention.